James Stuart's father was Joseph Gordon Stuart (born in Edinburgh about 1816) who owned a Flax Spinning Mill in Milton of Balgonie in Fife. In the 1861 census he is recorded as employing 225 people. James' mother was Catherine Booth (born in Edinburgh about 1816). 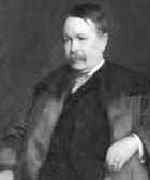 James Stuart received his school education at Madras College, St Andrews and then attended St Andrews University, graduating in 1861. He proceeded to Cambridge, supported by a Ferguson scholarship and a scholarship from Trinity College. On graduating as third wrangler in 1866, he was elected to a fellowship at Trinity. An educational pioneer, he established lecture courses in several towns around England and he supported the education of women. He also supported London and Oxford in setting up similar extension courses. From 1875 to 1889, Stuart was Professor of Mechanism and Applied Mechanics at Cambridge (a precursor of the Engineering department), but he resigned following Senate opposition to his emphasis on practical training and to his radical politics. He was among the first in Cambridge to lecture on Clerk Maxwell's theory of electricity and magnetism. He married Laura Elizabeth Colman (Norwich, Norfolk, 1859-1920) at Norwich, Norfolk in 1890. He was a backbench Member of Parliament during 1884-1900 and 1906-10, when he supported votes for women and reform of the House of Lords. He was appointed a Privy Councillor in 1909. He was awarded an Honorary LL.D by St Andrews University in 1876, and he served as Rector of the University during 1898 - 1901. His wife was the eldest daughter of J J Colman, MP, the mustard manufacturer. From 1898, Stuart took over management of the firm.